Hi there and thanks for stopping by ThatActionGuy.com. I'm Brian M Logan, an ex-professional film actor turned screenwriter / novelist who is repped out of Hollywood by the William Morris Endeavor Agency and managed by Circle of Confusion. As a writer I specialize in character-driven action, thriller, horror and science-fiction, all penned with a splash of ironic humour. I'm currently hard at work on three projects. DC (a solo novel in the vein of early Stephen King); Ark World (a sci-fi novella in the vein of 'Firefly') and Nigel and his Invisible Best Friends (a children's book in the vein of Roald Dahl). 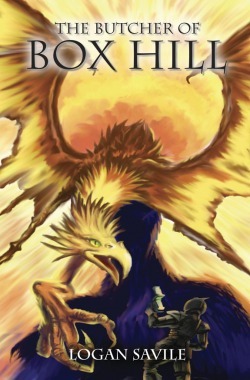 Two of my books, 'Monster Town' and 'The Butcher of Box Hill' (a double novella, published under the pseudonym of 'Logan Savile') were published in the US by Bad Moon Books (see below). Monster Town was set up at Sony Studios in Hollywood, with the producer of 'Clash of the Titans' attached, and the Writer / Producer from 'The Shield' / '24' / 'Dexter' and 'The Walking Dead' attached as Show Runner. Monster Town was developed by Sony as a major new TV series (think 'True Blood'-esque). 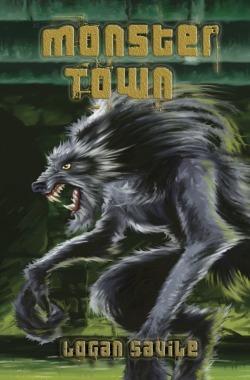 BUY 'MONSTER TOWN' and 'THE BUTCHER OF BOX HILL TODAY! The 'Monster Town' and 'The Butcher of Box Hill' 1950s style flip-book limited edition SIGNED double novella is now available for purchase from the amazing guys at Bad Moon Books! To order email Roy at Bad Moon Books on: roy@badmoonbooks.com or fill out the ORDER FORM.